Scott Pruitt's resignation from the Environmental Protection Agency (EPA) marked the end of a tumultuous time at the agency, but when it comes to policy the new acting Administrator Andrew Wheeler is not expected to change course. Wheeler is expected to continue walking back regulations proposed under the Obama administration, many of which President Donald Trump and Pruitt have called an overreach of the EPA's authority. When it comes to reforming rules intended to combat climate change, Wheeler told The Washington Post that he does believe people have an impact on climate. But when it comes to rewriting regulations for greenhouse gases he will put forward suggestions that stay within the laws passed by Congress. "I know that there’s a number of senators that would like us to go much further, but of course environmental organizations would love us to go much further," Wheeler told the Post. "But you’re not going to see the EPA, at least under my direction, make up a lot as we go along. We’re going to follow the law that Congress has given us." The EPA is still working on a replacement for the Clean Power Plan, a policy written by the Obama administration to regulate greenhouse gas emissions from power plants. It has also submitted a proposed change to a rule to protect bodies of water to the White House, and recently launched an effort to establish new limits for a chemical found in drinking water and groundwater all over the country. Wheeler said that he wants to "depoliticize" environmental issues in an interview with The Wall Street Journal. He also told the Post he will work closely with career scientists at the agency and work to increase transparency. Andrew Wheeler listens during his confirmation hearing to be Deputy Administrator of the Environmental Protection Agency before the Senate Committee on the Environment and Public Works in Washington, Nov. 8, 2017. Sen. Tom Carper, the ranking member of the Environment and Public Works Committee with oversight of EPA, wrote to Wheeler on Friday asking him to "restore the American people's confidence in the agency's mission" by working to increase transparency at EPA. Carper also called for Wheeler to withdraw policy proposals that he called "legally questionable," such as the so-called "secret science" rule that would change what research the EPA is allowed to use when it creates regulations. "Andrew, you have been granted an enormous challenge and responsibility, but an even greater opportunity," Carper wrote. "The damage Scott Pruitt has done to the Agency will not easily be undone. While you and I have not always agreed, and will not always agree, on every environmental policy matter, it is my hope and expectation that you will carefully consider the lessons of the past as you prepare to chart the Agency’s future." It is unclear if Trump will nominate a new administrator to take over or how long Wheeler will be running the agency but any nominee would likely face a tough confirmation battle. If Trump nominates Wheeler to be the permanent administrator, he would need to be confirmed by the Senate again. Some Democrats have vocally opposed Wheeler's nomination as deputy administrator, citing his track record on climate change and previous work as a lobbyist for companies with interests before EPA, including the coal company Murray Energy. When Wheeler's nomination for deputy administrator was up for a vote in April some Democrats even argued that it should be delayed so he could be vetted more thoroughly because it was likely he would take over at EPA if Pruitt resigned. The EPA said that Wheeler did not lobby EPA on behalf of Murray and that he has recused himself from issues related to his former clients. Environmental groups, like the Natural Resources Defense Council and Sierra Club, also say they will continue to fight Wheeler and Trump's agenda at the EPA. Both groups were vocal opponents of Pruitt and launched a campaign calling for him to resign. 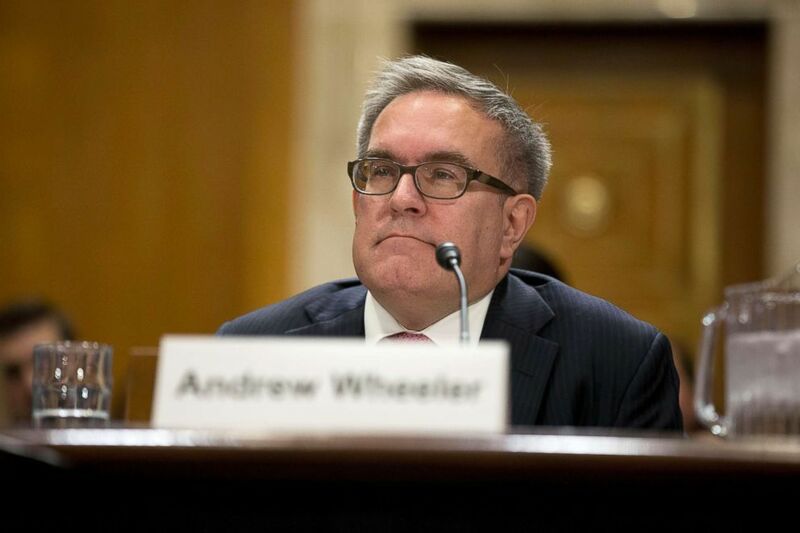 "Andrew Wheeler is equally unqualified to serve as the nation’s chief environmental steward," Ana Unruh Cohen, managing director for government affairs at the Natural Resources Defense Council, said in a statement. "Like Pruitt, this veteran coal lobbyist has shown only disdain for the EPA’s vital mission to protect Americans’ health and our environment." There are still several pending investigations into Pruitt's conduct at the agency, including the cost of his often first-class travel, 24/7 security detail, and his living arrangement in a Capitol Hill condo connected to lobbyists. A spokesman for the EPA inspector general's office said they will still complete the investigations even though Pruitt no longer works for the agency. +Ex-coal lobbyist to fill in as EPA chief after Pruitt's resignation?